For hoarding treatment, choose a therapist that uses cognitive behavioral therapy for hoarding (CBT for hoarding) to address your symptoms. If you are an individual who struggles with hoarding, you might have been frustrated by negative treatment experiences in the past. For most individuals who hoard, treatment can be challenging. However, it is an essential ingredient for regaining control and reclaiming your life. When selecting a therapist to help you address your hoarding, make sure that your potential therapist practices cognitive behavioral therapy for hoarding (or CBT for hoarding). Based on research studies, this type of treatment is most likely to be effective in supporting long-term positive changes and leaving you less vulnerable to relapse. 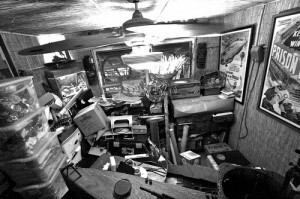 In South Florida, there are very few psychologists who have formal experience with hoarding treatment. Make sure that when you interview your potential psychologist, you ask them about their experience in treating hoarding. A CBT orientation alone is not sufficient; make sure that they’ve treated other patients who hoard and can explain how cognitive behavioral therapy can be tailored to specifically address hoarding in the context of acquiring, organizing, and discarding objects. Good CBT therapists will also explain how exposure and response prevention (a CBT component most frequently discussed in the context of obsessive-compulsive disorder) will be integrated into your treatment. Fortunately, there are resources that make choosing a qualified therapist slightly easier; check out the IOCDF’s database of treatment providers with hoarding experience. Although this database is largely focused on OCD therapists, it also contains information about providers who treat clinical hoarding. Sadly, even in today’s society in which there are multiple popular television shows focused on hoarding, quality scientific knowledge about hoarding is limited to a relatively small group of treatment providers. Interestingly, one reason why hoarding had a delayed entry into the limelight has been nosological. Nosology refers to the study of how different disorders relate to each other and are classified. In the DSM-IV, which is the manual that psychiatrists and psychologists use when making diagnoses, hoarding is currently not recognized as a formal diagnostic category. Instead, it is described briefly in a side note within a section that pertains to obsessive-compulsive personality disorder. Given this peripheral placement, it is not uncommon for trained clinicians to open up their DSMs and fail to be able to find hoarding listed at all. Fortunately, it is likely that the upcoming DSM-V will finally rectify this in May 2013 and will recognize hoarding as a distinct OC-spectrum diagnosis.